Recently, I heard of yet another downtown “First” church repeating the painful cycle of pastoral transition just a few years after replacing their long-tenured senior leader. It seems to be the same story with a different church name: church reels over their perfect replacement candidate, for a beloved pastor of 15+ years, who turns out to not be so perfect after all, and then leaves for another church, or gets asked to leave after a few years of dysfunction and/or less-than-desired results. Meanwhile, half of the congregation sits confused because things seemed to be going well enough, even if congregational growth had noticeably slowed down a bit after the first few months. While another half of the body sits pining for the “good-ole” days, dreaming of their old pastor reborn and the way things used to be. 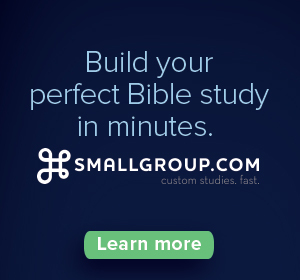 And smack dab in the middle sits a pastor search committee tasked, yet again, with finding “God’s right” leader… but not like the last right one. The principle of insanity immediately kicks in, with the assumption that searching in essentially the same way, with essentially the same people (even if their names are different) will yield different results. And honestly, more often than not, it does… and therein lies the problem. When asked, most of the congregation will attribute the previous seven or so years of transitional expense, missional confusion and stalled growth as “just a part” of getting to the eventual right pastor, and ascend to a point three years down the road when the church is again vibrant and effective. Few will admit to a decade lost and grieve what essentially becomes ten years of inward congregational focus and lost community impact. 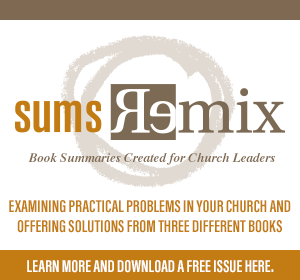 The resulting mistake is the hiring of a positional leader to come in and tell the church what their vision is and define what they should do next. Positional leaders like this are attracted to a vision vacuum they can fill – likely having exhausted their ideas and resources at the current church, and will gladly come to yours to do the same. Leaders beyond this positional kind are often called to a visionary people they can lead and celebrate Great Commission impact alongside. Action 1: Remember true leaders love active vision. They recognize that a church that waits on and wants their new pastor to be the singular visionary voice will likely not be easily led toward that vision. The resulting mistake is the search of a candidate based on past accomplishment or present answers, rather than future alignment.This is because the elevation of the radical minimum standards of Biblical eldership becomes a pinnacle of maturity in the church that only a select few might attain. 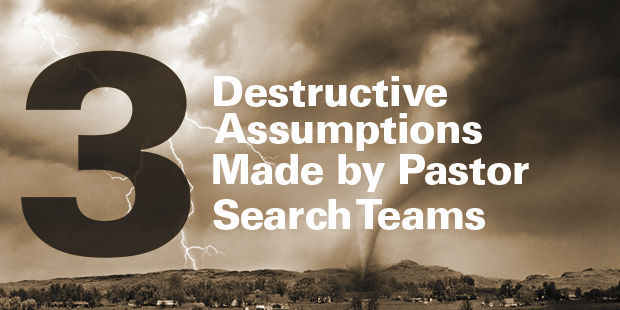 Most of the early Church leadership would not be candidates for a search team today, and it is likely that Jesus himself might have a hard time making it past the first round for many churches. He would definitely blow it in the interview stage, asking really personal questions of the committee and being disproportionately focused on those not in the church yet, unconcerned with making members happy. We like the thought of making disciples, but most congregations have never taken the time to define that actual process or describe the resulting output of a discipleship culture. Action 2: Hire to culture not just to resume. Skills are developable and experience can be deceiving, but a close attention to alignment in discipleship ethos and practice yields a greater chance to break the cycle. The resulting mistake is the painful realization that sustaining what-is becomes a surrender to what should be. Most churches in a season of pastoral change are not there by chance. They have watched a pastor leave sooner than everyone expected for a new, apparently more effective calling. Or they have felt a pastor stay longer than anyone realized, in a safe, but steadily less effective office. Tension arises when what is actually revealed to grow disciples by a church stands in direct opposition to what is revered by most of the members of the church. Action 3: Choose conviction over comfort. Growth that matters rarely comes without pain, pressure and some degree of change. A congregational willingness to release the next pastor to lead-out toward God’s preferred future will yield a higher quality candidate every time. There is never a guaranteed result to any pastor search process, and the working of God through the leadership of His Spirit is never to be overlooked or underestimated. Yet, we must admit that the pastor search team role is an important and needed part of any transition process, or else the church should just sit and wait for the next pastor to knock on the front door, announcing their arrival. Breaking the painful cycle of pastoral turnover takes more than wishful thinking andwistful dreaming. A successful search for the next pastor takes a willingness by the whole body to attain active leadership, maintain congregational convictions and sustain missional priority. > Read more from Bryan. As Lead Navigator for Auxano, Bryan Rose has a strong bias toward merging strategy and creativity within the vision of the local church and has had a diversity of experience in just about every ministry discipline over the last 12 years. With his experience as a multi-site strategist and campus pastor at a 3500 member multi-campus church in the Houston Metro area, Bryan has a passion to see “launch clarity” define the unique Great Commission call of developing church plants and campus, while at the same time serving established churches as they seek to clarify their individual ministry calling. Bryan has demonstrated achievement as a strategic thinker with a unique ability to infuse creativity into the visioning process while bringing a group of people to a deep sense of personal ownership and passion. How Does Church Planting Relate to God’s Mission?